Thank you for visiting Cross & Sons Plumbing. We offer residential plumbing services all over Atlanta and West Georgia. Our full-service plumbing department can handle almost any plumbing emergency that arises. 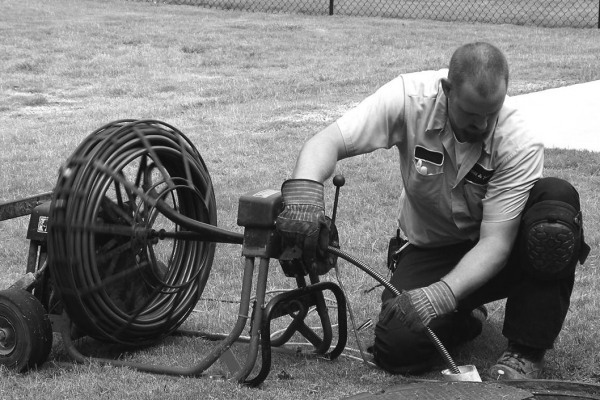 We are pros at unstopping blocked storm drains and sewer lines by using cable machines or high-pressure water jets. We can also televise the lines to look for broken pipes or objects that might be lodged in them as well as to confirm their integrity. WE ARE A 24/7 EMERGENCY PLUMBING COMPANY. Please visit our Recent Work Gallery to view our latest client photo gallery. * We are not currently pumping Residential Septic Tanks at this time. Cross & Sons uses powerful electric powered Rooter machines to bore through tough clogs. We use DuraCable's The BARON for residential jobs like roof vents, sinks, bath tubs, shower drains, and laundry drains.